Product Code: Bar Flooring Tiles. Price: From £4.96 GBPeach. 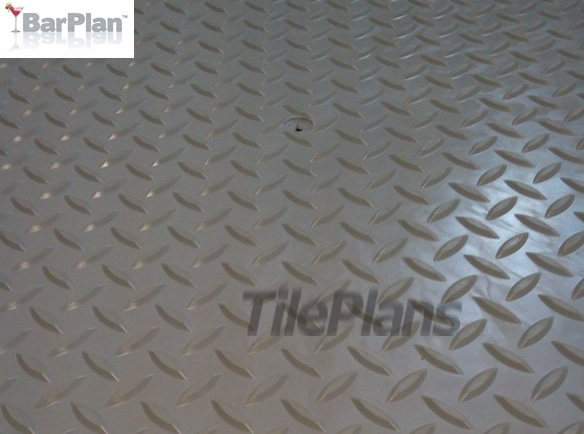 PVC Bar Flooring tiles by TilePlans provide a safe and long lasting, easy to clean alternative to previous bar flooring options such as hazardous ceramic tiles or rubber flooring which can smell after spillages. For commercial Bar Floors – Relieve staff strain and reduce fatigue. Ideal for bar areas – helps to prevent glass breakage. Commercial Bar owners can also recoup the investment on their bar flooring tiles by using them as an advertising tool . 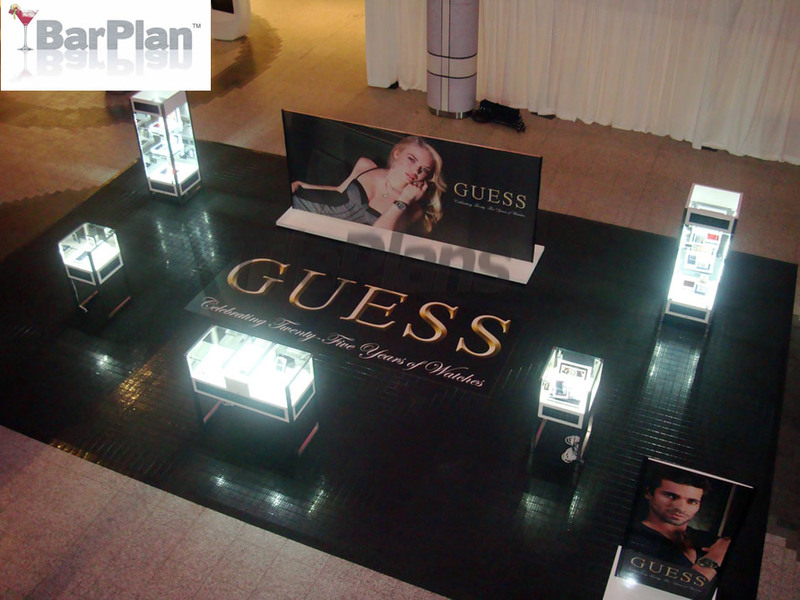 The TilePlans clear Logo Tiles allow signs, logos or messages to be placed underneath. You can use your PVC Bar floor covering to promote your own business or even promotions for other product advertising. 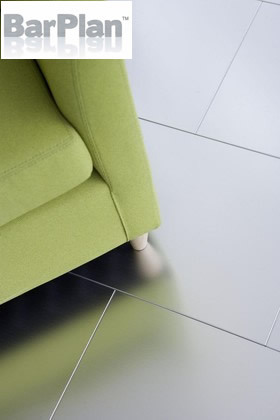 These ‘window–tiles’ can be added to your floor and can be permanent to suit or changeable in seconds. 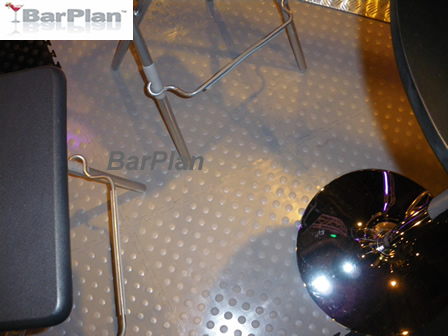 BarPlan Illuminated Bar Flooring Tiles – use a clever LED strip light system fitted within a clear PVC Line marker Tile to create an illuminated walkway or VIP entrance area floor which is portable and re-usable or permanent to suit. 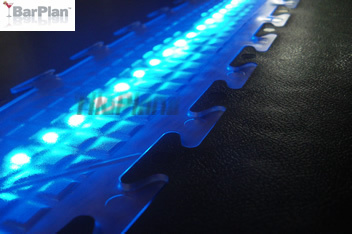 Ideal as an LED Flooring for a Home bar or commercial bar. TilePlans Bar Floor Tiles come in thicknesses from 4mm to 7.5mm in a variety of colours and finishes. They are made in the UK from quality virgin PVC material, which is also 100 % recyclable when required and their qualities make them an ideal tiling choice for new and refurbished Bars, cafes and restaurants. As the demand for more electrical appliances and connectivity rises, floor cable management in offices, homes and temporary structures such as exhibitions continues to be a problem. The answer is an ultra-thin floor cable management system, which has been designed as a Raised Floor for running cables under. TilePlans floor cable management system is made from recycled plastic. And because it is a Raised Floor Cover standing only 2cm high, it doesn’t have any significant effect on ceiling or doorway heights. Not just that, but TilePlans floor cable management system is also incredibly lightweight and strong. Clip-together build Raised Floor Cover. Constructed from 10cm squares that simply clip into each other, the Floor Cable Management flooring can be fitted to any size or shape quickly and easily, and will sit directly on almost any surface. Wherever you need your cable to come through, simply remove the square in that area – this can even be done once the floor is laid, as and when further connections or adjustments are required. Other finishes of floor-coverings can be laid on top of the flooring, as normal. For example, TilePlans Hidden Joint and logo tile systems. TilePlans floor cable management system which recently featured at The Facilities Show has been extremely well received by electrical contractors, facilities managers and architects. 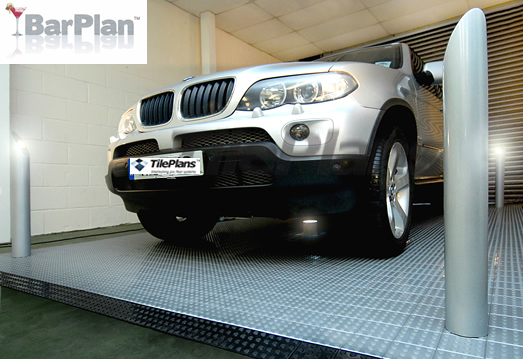 TilePlans floor cable management system has also gained much interest from domestic customers who are, for instance, converting garages to offices or looking for flooring solutions for games rooms or outdoor cabins. Find out more about this exciting development in ultra-thin floor cable management system by calling us today. Available in all colours including looking stunning in silver – please enquire for pricing and information on silver and other colours. Accessories: Sloped edging ramps take the Anti-Fatigue mats 12mm thickness down to 1mm thickness and are available to connect on all sides. Options: Graphics, Lettering and Logos can be Water-Jet cut into the matting. 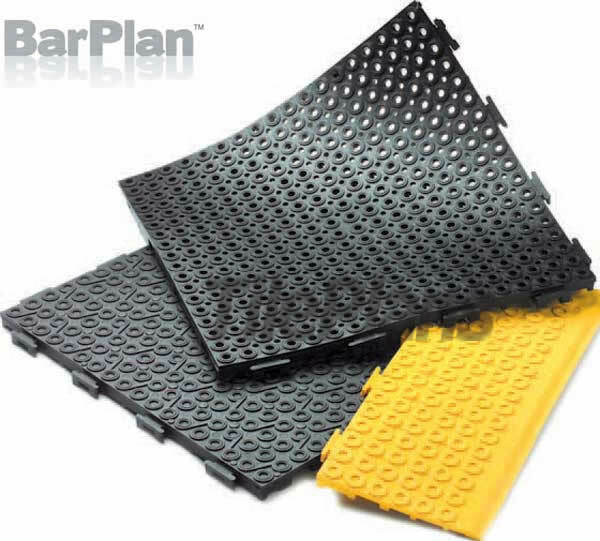 BarPlan Wet Area Matting Tiles are a type of safety floor matting for wet areas. 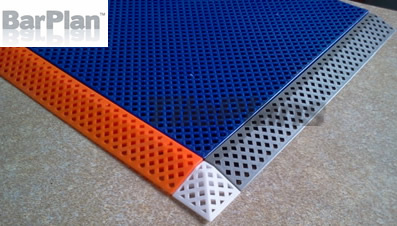 Holes allow drainage and the flexible high grip PVC surface ensures no slips, trips or falls. Portable and quick to install the tiles are super durable and will be re-usable for many events. BarPlan hard plastic interlocking tiles are the ideal lightweight solution for temporary outdoor floor coverings for decking areas, balconies, roof tops, exhibition show stands and even for boats. No special effort is required on laying and they simply clip together to produce a robust and durable surface.They are non slip, self draining and economical to use. 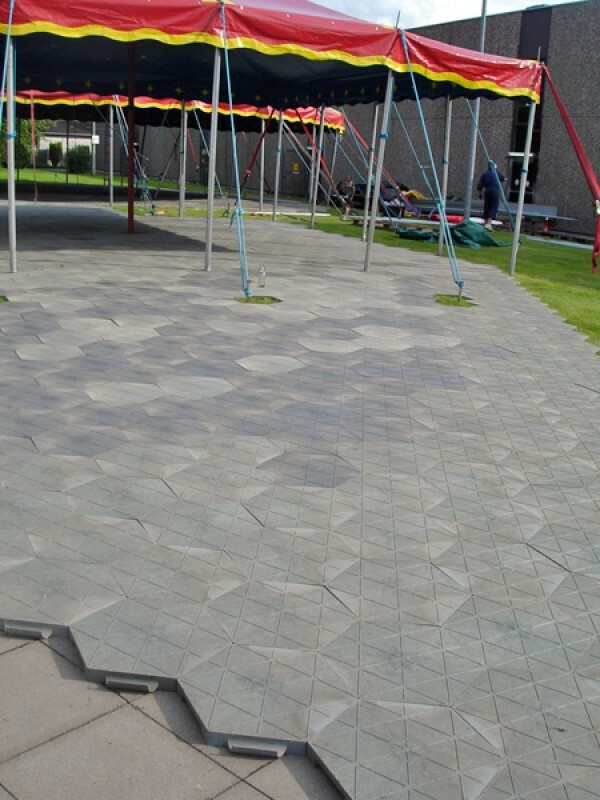 HexaTile Outdoor Event Modular Floor Tile System consists of heavy duty hexagonal shape slabs that quickly hook together to form a flexible and strong event floor ideal for marquees. They will cover Grass, Gravel, concrete and other external substrates. HexaTile standard is for dry areas and HexaTile D is for Wet areas requiring drainage.